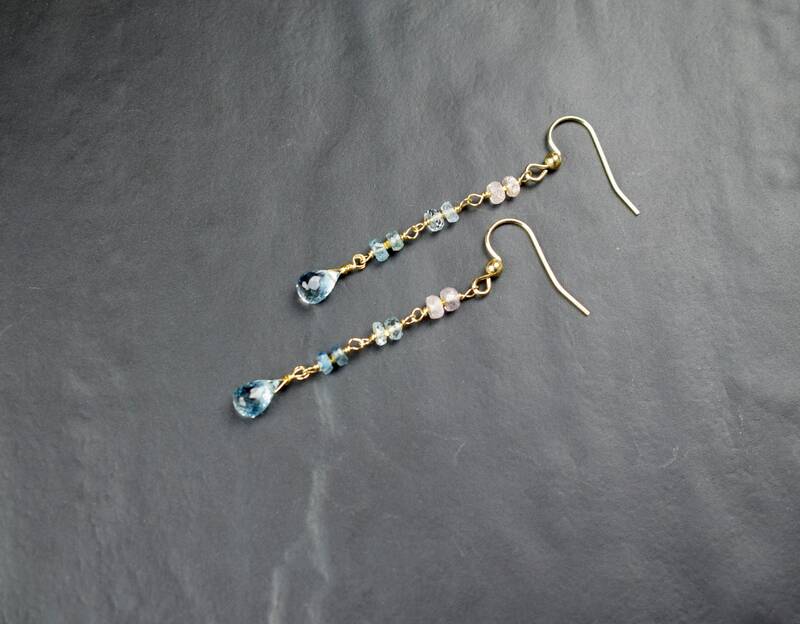 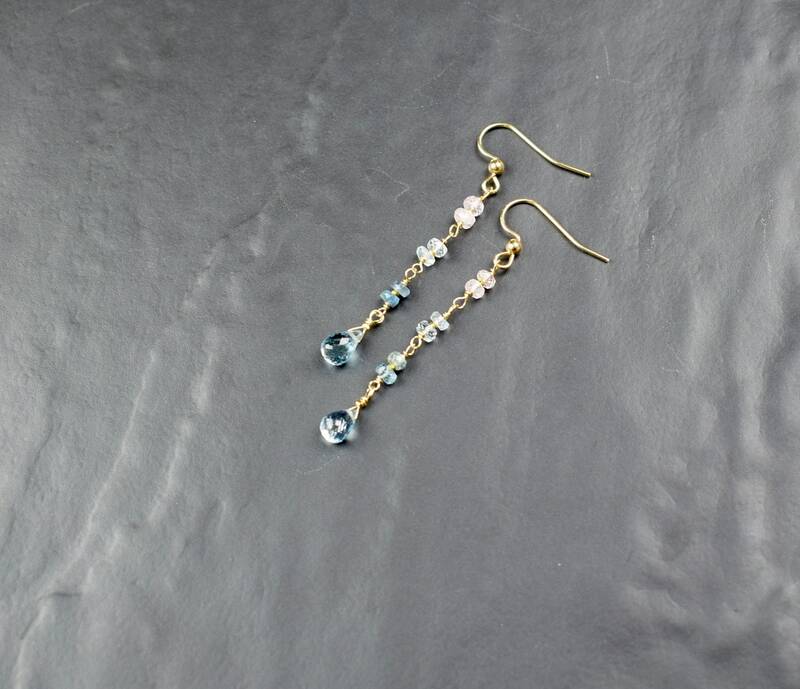 This beautiful pair of long Aquamarine Dangle earrings have been made with pale pink and blue Aquamarine gemstone beads that are wire wrapped together in 14k Gold Filled wire. 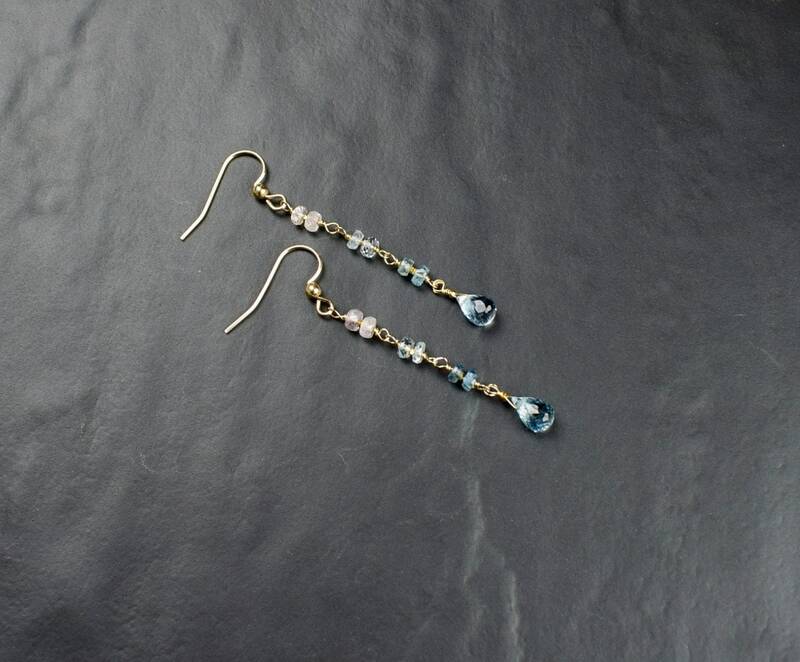 From these wire wrapped beads hangs a stunning blue Aquamarine droplet. 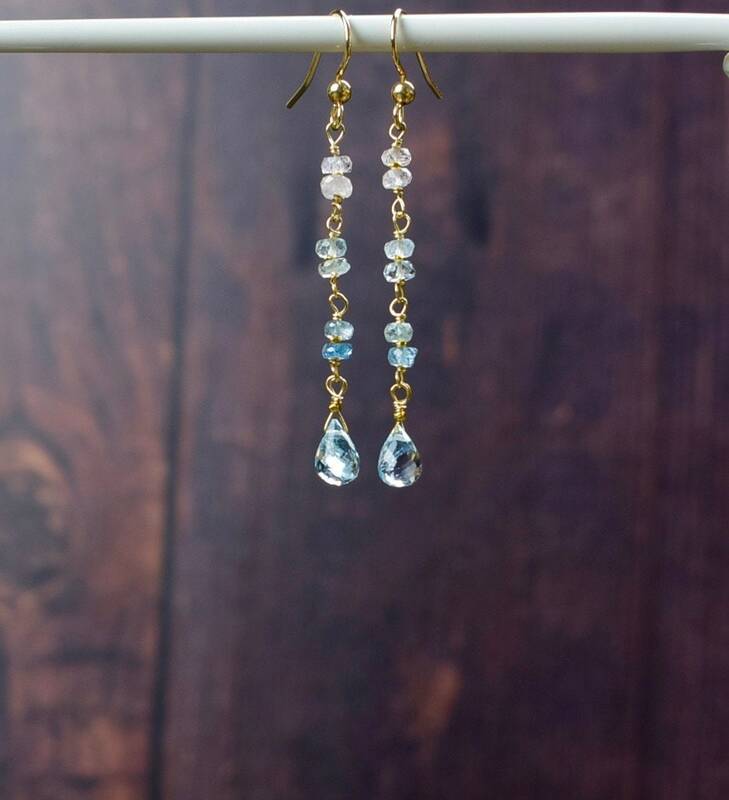 The droplet has a fine polish and will catch the light beautifully as you move. 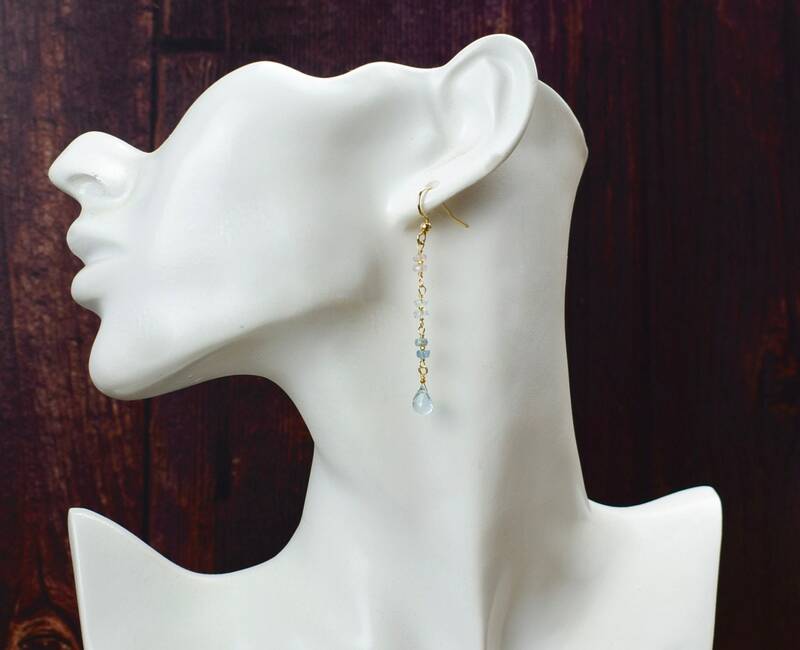 The Aquamarine gems are threaded on 14k gold filled wire and hang from elegant 14k gold filled ear wires. 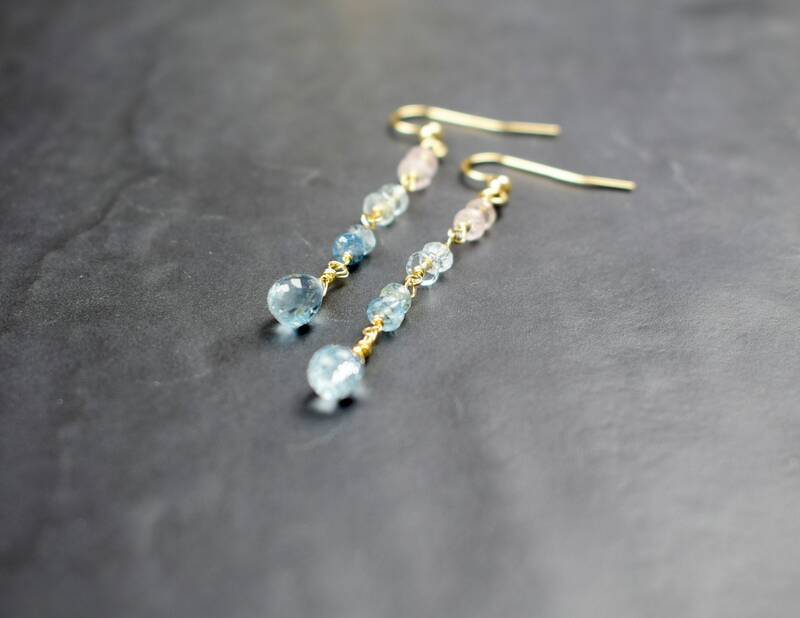 Perfect for a special occasion, these colourful earrings will get you noticed!